Each day, on my walk to my studio, I pass quirky side streets, historic buildings, and people walking or biking to school and work. Everywhere I look, I see life and energy in the people and places in my hometown of Pittsburgh. 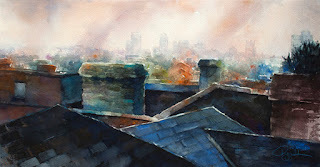 My new series of paintings celebrate the unlikely beauty of the back streets and rooftops of this steel city. 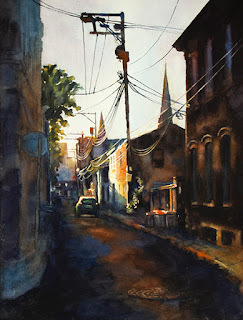 Whether painting a sun-drenched alleyway or a view of rooftops at night, each painting strives to find the beauty and drama in the ordinary.